ORANGE COUNTY, CA / ACCESSWIRE / March 1, 2017 / Marketing has always been reliant upon different forms of technology in various capacities -- the relationship is quite inseparable. Nick Kohlschreiber, a renowned entrepreneur from California, points out that a profound transformation of marketing techniques is already well underway, as consumers spend an increasing amount of time on their smartphones and computers. This has created a challenge for brands as they seek to connect with customers through all these devices in real-time, while also developing advertising campaigns that are effective across social media, display advertising and e-commerce. Sweeping technological advances and the expansive outreach of social media has permanently altered the nature of marketing as a whole, a sentiment Guardian contributor David Benady noted prior to a panel discussion with industry executives. "Real-time conversations brands have with people as they interact with websites and mobile apps has changed the nature of marketing," Benady wrote. "The modern-day marketing department needs to combine the creative side of the discipline – using powerful narratives to tap into people's wishes and aspirations – with the technical side of data, digital engineering and analytics." The potential reach of an advertising campaign has also broadened. Facebook, YouTube, online news websites, and integrated apps for smartphones and tablets now allow strong ideas to quickly spread and influence in the span of a single day. "If you come up with that nugget of an idea, you've now got such reach that you can expand that and get tremendous coverage just from a little niche idea," said Mark Singleton, head of marketing at betting brand Paddy Power. Various technological tools enable modern marketing techniques to provide a highly personalized customer experience, often through insightful analytics providing a more targeted audience. As the number of tools and options continues to grow at rapid rates, marketers are faced with increasingly complicated decisions while deciding on their strategy. Nick Kohlschreiber encourages them to carefully weigh the numerous choices available and focus on methods that best fit their brand, while offering the highest level of direct access to their targeted consumer base. Kohlschreiber also advises companies to constantly reevaluate their strategies in light of emerging entities that may ensure even higher degrees of innovative and strategic advertising. By continuing to embrace evolutions in technology, marketing experts can stay ahead of the latest trends, adapting to changes while receiving optimal results. 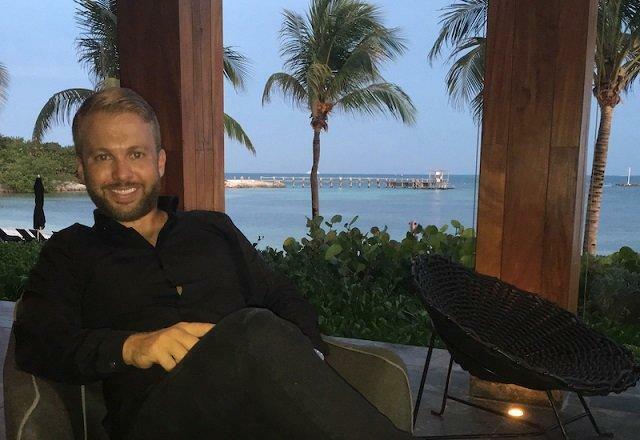 Nick Kohlschreiber is an experienced businessman and entrepreneur, beginning his career at a young age as the head of marketing at an online wholesale product company, where he invigorated sales with his innovative approach to the online selling and direct shipping of products to its consumers. Now the owner of a media company based in Newport Beach, Kohlschreiber oversees hundreds of employees and tens of thousands of clients every day, while striving to further the connections to the modern communication platforms -- from document preparation, to online, multimedia-driven business development. In his spare time, he is a dedicated philanthropist assisting both local charities and various international non-profit organizations.